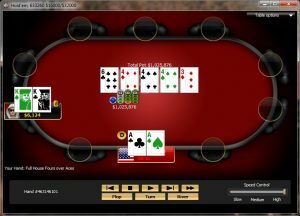 I’ve been playing the 3k Nightly on Wsop.com regularly for a while now. I won it once about 10 months ago and since then have come up short… a few 2nd’s. I was beginning to doubt my heads-up prowess as I finished in a string of tournaments (like 8 to 10) in second place. As poker players, we really shouldn’t sweat results much, especially on any kind of short term scale. 8 to 10 headsup matches? Ok, I should definitely study headsup a little, which I did, but it’s just not a long enough timeline to determine if I’m truly that bad at headsup. Take this tournament today. 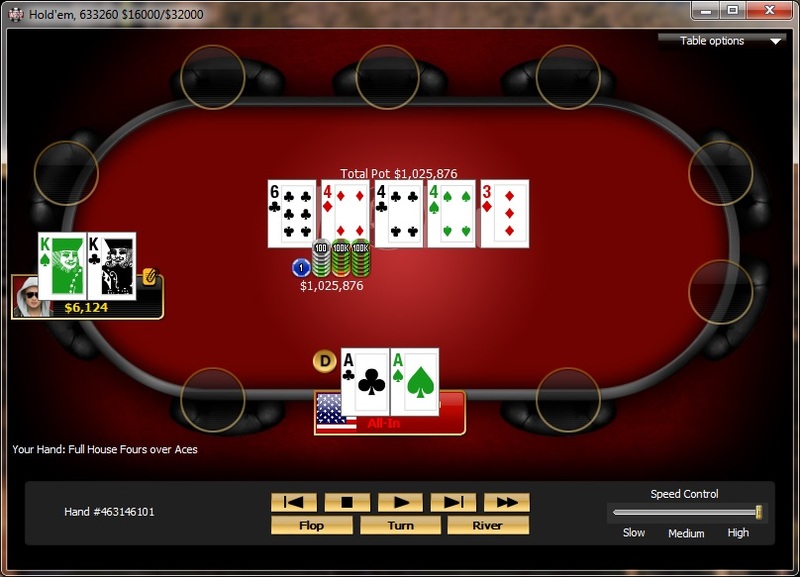 I believe I played it really well, especially approaching the Final Table. I was completely card dead. From when the bubble burst to about 4 players left, I just couldn’t get a hand to play. I kept my focus however, and kept stealing where I could, and not getting impatient and reshoving bad or calling off bad when I got shipped on. And when I got to Headsup? Well, in reality, it would have been hard for me to lose that match with the hands I was getting. My opponent isldur is a regular on WSOP and we played a great headsup match, but I just got handed the tournament. I hit a straight on the turn when I needed it for a big pot to get me a little chip advantage and we were about even in chips and I was handed an AAvsKK victory. For poker, you have to keep studying the game… but you also need a little patience. One day, everything will just click for you.